Mickey Mouse, Captain America, and an Enchanted Storybook Castle? These would certainly seem on the surface as hallmarks of American (for better or worse, the de facto standard-bearer of Western ideology) soft power and culture, so why now? Why let Disney come to China and bring all the swagger of recently-acquired Han Solo at a time when Western ideology is being demonized in some Chinese circles? 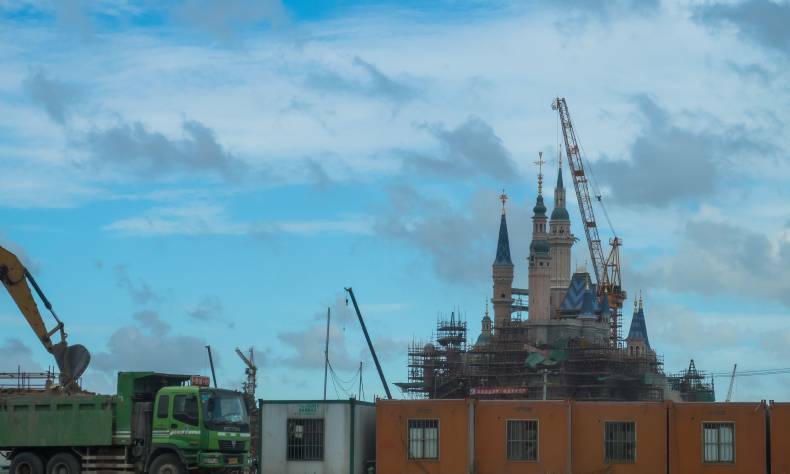 As part of President Xi Jinping’s China Dream national rejuvenation plan, certain aspects of China will be needing an upgrade, and this extends to culture and services, two things that Disney does incredibly well…for a price. China seems hell-bent on trotting out the old standbys when it comes to Chinese soft power/culture: Confucius, Peking opera, pandas, and yet another Journey to the West vehicle. These are not particularly new ideas, and at some point the Chinese soft power policy producers are just going to have to accept that Peking opera is an acquired taste not often shared by Westerners. The key point regarding China’s so-called denouncement of Western values is not so much that Western values are bad (although there are certainly some in China that feel they are) but that Chinese values should be emphasized by China. Makes sense. And with China slowly transitioning to an economy more reliant on consumer spending at a time when leisure and leisure activities are being heavily promoted, what better way to model a leisure park than by emulating the processes (not the content) utilized by the very best in the world? Chinese amusement parks have by now had their day in the sun. The existing model is pretty much finished as the arrival of not just Disney but also DreamWorks (opening 2016), Universal Studios (possibly opening in 2019), and Six Flags (no opening date as yet) threatens the very existence of Chinese theme parks. Disney knockoffs such as Beijing Shijingshan Amusement Park will soon be seen as outdated and unoriginal, if they are not already. But what the arrival of foreign amusements park may do is force the Chinese domestic competition to up their game. Yes, a good many will fold, but others will weather the storm as new versions rise from the ashes. What’s more, Chinese culture and history has the cachet to interest the masses, as long as the focus is not on the glories of Lei Feng or other CPC-sponsored heroes, although these parks will undoubtedly come into being. If China truly wants to monetize its soft power through amusement parks, then domestic companies should focus on Chinese mythology and its real-life heroes from ancient history, on dragons and the youxia knights of old, on the Eight Immortals, and, yes, even the overused Monkey King. The wealth of available material is vast, and while such material may lack the fiery explosions of Captain America, it offers more sword-fighting than any Pirates of the Caribbean attraction Disney can offer. Wanna escape the Airopocalypse? Head for Taipei!